Our firm advises numerous current and former employees, so after scouring through the pages of documents and materials, I’ve compiled the 10 Things You Must Know About the Pierce Manufacturing and Oshkosh Corporation 401(k). The better educated you are about your 401(k) benefits, the greater your chances of making smart decisions and achieving great retirement outcomes. For those readers who have found my site for the first time and don’t know much about me let me introduce myself. 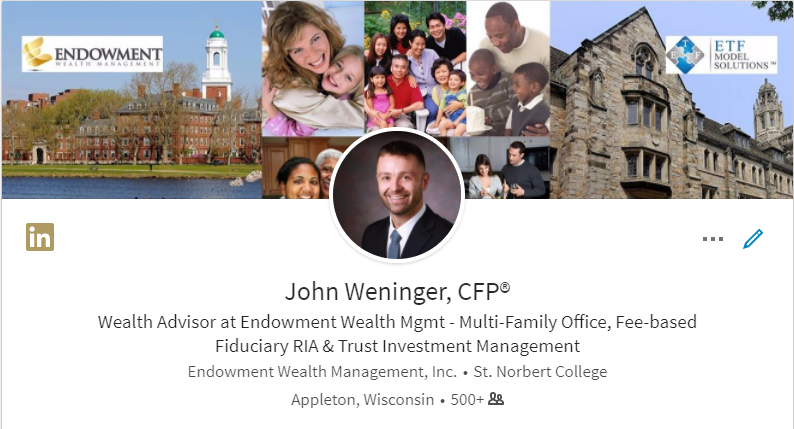 My name is John Weninger and I’m a fee-only fiduciary advisor at Endowment Wealth Management, a Multi-Family Office, currently serving clients in 12 states. I don’t work for Oshkosh Truck, Pierce Manufacturing or any affiliated companies nor do I receive any compensation from them. I have spent a great deal of time examining the summary plan descriptions and resources available to produce this review. Since I’m not tied to the company in any way, I offer an impartial and objective view. My hope is that I can help educate you so you can make well-informed and smart long-term financial decisions. I’ll explain how you can directly ask personal questions at the end of my review. If you’re on LinkedIn, I invite you to connect with me and learn more about me or our company here. So let’s get at it! Here are the 10 things you must know about the Pierce Manufacturing & Oshkosh Truck Corporation 401(k) Plan. There is no waiting period for you to enroll in the company 401(k). This means you can start investing and earning the company match from day 1! Even if you forget to enroll, Oshkosh Corporation will automatically enroll you in the Oshkosh Corporation 401(k) plan and withhold 3% of your compensation from your paycheck each pay period. The money is placed into your account as a pretax contribution. You always have the right to stop the automatic 3% contribution or not enroll entirely by contacting Fidelity Investments but my take is that it would be wise for you to set up the account and take full advantage! 2 – You Can Contribute A Lot! Through your automatic payroll deduction (right out of your check), you may contribute up to 65% of your eligible pay on a pretax basis, up to the annual IRS limits.Your annual additions to the account (your contributions + company contributions combined) may not exceed 100% of your pay or $55,000 for 2018 (whichever is less). The amount you can individually contribute in 2018 is $18,500. There is an additional contribution you can make, which I discuss below in number 8. To get started, you might begin with a smaller percentage of your eligible pay. 10% is a popular starting point for most people. After you have paid off your debts (credit cards, car loans, etc) you can really ratchet this up to move even quicker towards your goals! The Oshkosh Corporation 401(k) allows you to make Roth contributions towards retirement. This means that you have already paid tax on these dollars and when you make a qualified distribution in retirement, all of the money you contributed plus the earnings are withdrawn tax-free. A great benefit! You can contribute between 2% and 65% of your eligible pay as designated Roth contributions, up to the annual IRS dollar limits. Roth style investing is a great benefit! The ability to withdraw both your contributions and earnings tax-free in retirement is outstanding. It quite literally may be the best thing since sliced bread. When you get near to retirement, the overwhelming majority of the money in your account will be earnings, which in a Roth account and for qualified distributions, are tax-free. The company matches your contributions to help your retirement savings grow. The company will match 50% of each pretax dollar you contribute on the first 6% of pay that you defer into your account. That means that as long as you are contributing 6%, the company will match you a full 3% of your pay. In effect you are earning an immediate 50% return on your initial investment. Additionally, Oshkosh provides you with an additional company contribution based on your age. Once you have worked for the company for 3 years, all of this money is vested (assigned) to you. This additional contribution is spelled out in the table below. Like most 401(k) plans, your investment options are limited. There are 21 funds for you to choose from. It’s important to note that if you do not make a choice for your age-based company contribution, the plan automatically selects the target retirement date Fidelity Freedom Fund – Class K.
The chart below indicates the non-target date funds that you can choose from along with their respective expense ratios. In addition, there are a few target date funds you can choose from as well. These funds correspond to the date closest to when you turn 65 and they slowly become more conservative as you get closer to that date. Your Personal Risk Profile – Depending on your tolerance for risk, you may invest more or less money into equities. 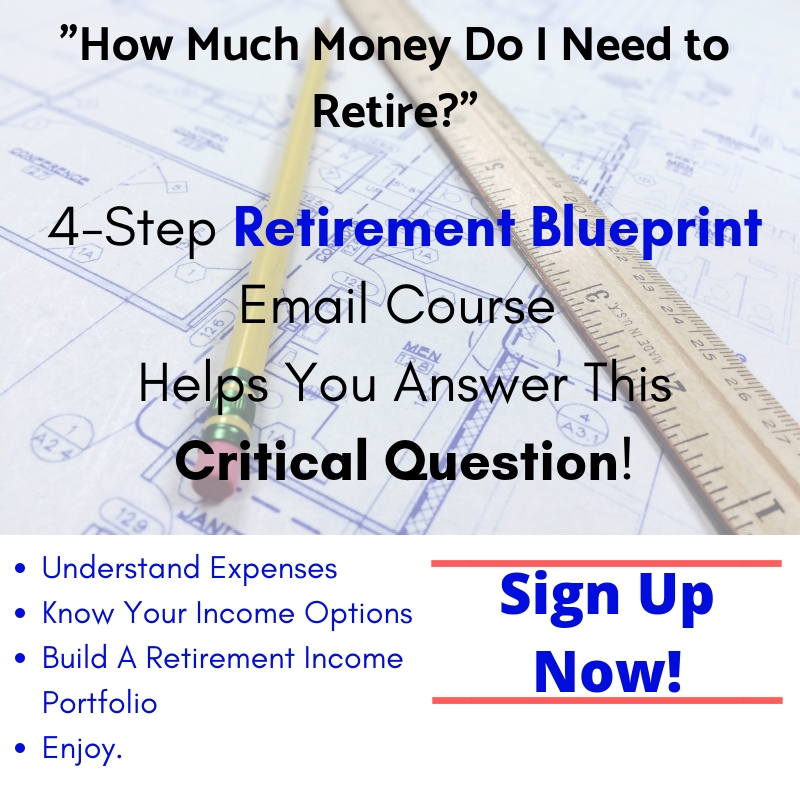 Your Time Horizon – If you have a long time horizon before you plan to retire, you can take more risk and put more money into the stock market. If you have a short time horizon, you may want to be more conservative. Your Other Investments – If you have old 401(k)s or outside IRA accounts, they are invested in a particular way. When looking to invest your Oshkosh Corporation 401(k), you want to take into account your entire investment portfolio. We can test for your personal risk profile and use our Online Wealth Portal to integrate all your accounts to provide a view of your entire wealth. Once we see the entire picture, we can make recommendations for your 401(k) account. For example, if you have an outside Roth IRA, you may want to take more equity risk in that portfolio (since all earnings are tax-free). In that case, you may be more conservative in the 401(k), depending on other factors. Vesting simply means you could leave the company and take those funds with you. You are immediately 100% vested in your own contributions, as well as in any of the matching contributions that Oshkosh Corporation makes to your account. For the additional, age-based company contributions you are vested once you have met the requirement of 3 years of service. If you leave the company before 3 years, you are not vested in these contributions. Before considering a loan, I recommend you read my blog post about 401(k) loans. However, you can borrow your account for any reason. The amount is limited to the lesser of 50% of your vested account balance , or $50,000 (minus your highest outstanding loan balance during the previous 12 months.) You will need to contact Fidelity to get the loan terms and other information to get the process started. If you’ve reached age 50 or will reach 50 during the calendar year January 1 – December 31 and are making the maximum plan or IRS pretax contribution, you may make an additional “catch-up” contribution each pay period. The maximum annual catch-up contribution is $6,000. That means for 2018 you can make your $18,500 regular contribution plus an additional $6,000 for a total of $24,500. This “catch-up” feature has the potential to speed up the savings you need for retirement and help you get back on track. For example, if you were to make the full contribution of $24,500 each year for 15 years from age 50 to 65, with a rate of return of just 6%, your investments would turn into $570k! And that doesn’t include what you’ve saved up to age 50 or if the investments performed better than 6%. Either way, you can see how making the fully allowable contribution is a smart choice if you can afford it. If you are younger than age 59 1/2 and withdraw money into your savings or checking account, you are required to pay taxes. You may also pay an extra 10% penalty. Because of taxes and penalties, withdrawing before age 59 1/2 is almost never a smart choice. Professional advice – 401(k) plans are notorious for providing little to no personalized advice (hence this site). Investing outside your 401(k) allows you to work with fiduciary advisors, which is what we are at Endowment Wealth Management. Executing an in-service rollover to an outside IRA may or may not make sense depending on your situation. Instead of making a blanket case one way or the other, it makes more sense to do a review of your entire wealth picture and then make a decision. That’s something I do every day. You can access your account online through Fidelity at www.401k.com. It’s important to have access and review your account online. Not that you need to track it every day, but I think taking a look once a month makes sense to review how things are performing. If you you work with us at Endowment Wealth Management, you will link your Oshkosh Corporation or Pierce Manufacturing 401(k) into your Online Wealth Portal. That way, you can see all your accounts, including outside IRAs, bank accounts, credit cards, etc. all in one convenient place. In addition, we provide secure online document storage in a Vault, where you can have instant access to important documents like Wills, Power or Attorneys, and tax returns. Have Questions About Your Pierce Manufacturing or Oshkosh Truck Corporation 401(k)? If you have more questions I make getting answers super easy without having to talk to some high-pressure sales person. Just use the secure contact form to ask a question and I’ll get back to you via email within 48 hours to help point you in the right direction. Remember, it’s free to contact me. Plus, I am a fiduciary advisor putting your personal needs first and foremost! If you know of anyone who works at this company and might benefit from this educational review, please share this post with them. Doing so might just save them a whole lot of time and trouble as well! If you have a LinkedIn, Facebook or Twitter account you can click on any of the icons to the left to share this article. That way more people will be able to find and hopefully benefit from learning the 10 things you must know about the Pierce Manufacturing & Oshkosh Corporation 401k plan. Lastly, like all humans — I do make mistakes. If the plan changes and you see one on this review please reach out and let me know. I’m happy to admit when I’m wrong and update my blog! Also, if you’re an investor and have questions please feel welcome to reach out as well. I offer a free wealth consultation where we can discuss your personal situation and how to get you moving in the right direction! Request a FREE Wealth Consultation with John!